In partnership with the UCL Institute of Child Health (ICH), Great Ormond Street Hospital (GOSH) is the largest paediatric centre in Europe dedicated to both clinical and basic science research. The UCL Institute of Child Health (ICH) is the primary research partner of Great Ormond Street Hospital for Children. Togther we form the largest centre for paediatric medical research outside North America. Academics at the ICH and clinicians at Great Ormond Street Hospital (GOSH) work together to form an integrated and multi-disciplinary approach to the understanding, diagnosis, treatment and prevention of childhood disease. Many individuals hold joint appointments at both institutions. This allows the hospital and the Institute to work together to translate research undertaken in laboratories into actual clinical trials in the hospital and real benefit for the children at GOSH and the wider paediatric community. Ronit Pressler is Consultant in Clinical Neurophysiology and clinical lead of the Telemetry Unit at Great Ormond Street Hospital, London and Honorary Senior Lecturer at the UCL-Institute of Child Health. She qualified from Berlin University in 1992 and trained in paediatrics in Berlin, Germany and clinical neurophysiology at the National Hospital for Neurology and Neurosurgery, London, obtaining her MD in 1997 and her PhD in 2006. 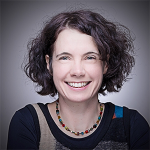 Her research interests include neonatal seizures, particularly their diagnosis and treatment, the effect of epilepsy on cognition and pre-surgical evaluation in children with complex epilepsy. Currently she is the coordinator for a European funded program developing antiepileptic drugs for the treatment of neonatal seizures (NEMO: Treatment of NEonatal seizures with Medication Off-patent). Dr Pressler is also chair of the ILAE taskforce on neonatal seizures (part of ILAE Commission on Classification & Terminology).